– Film the incident, where possible asking the person stopped if that’s ok, or just film the officers involved. This may be useful in making a claim in the event of an unlawful stop or arrest. 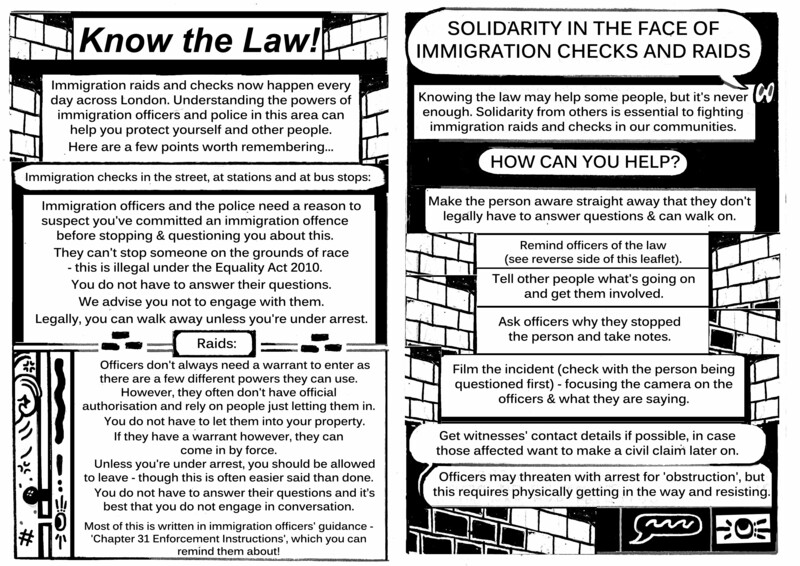 – Note that physically obstructing officers may put you at risk of arrest for obstruction (a minor offence). 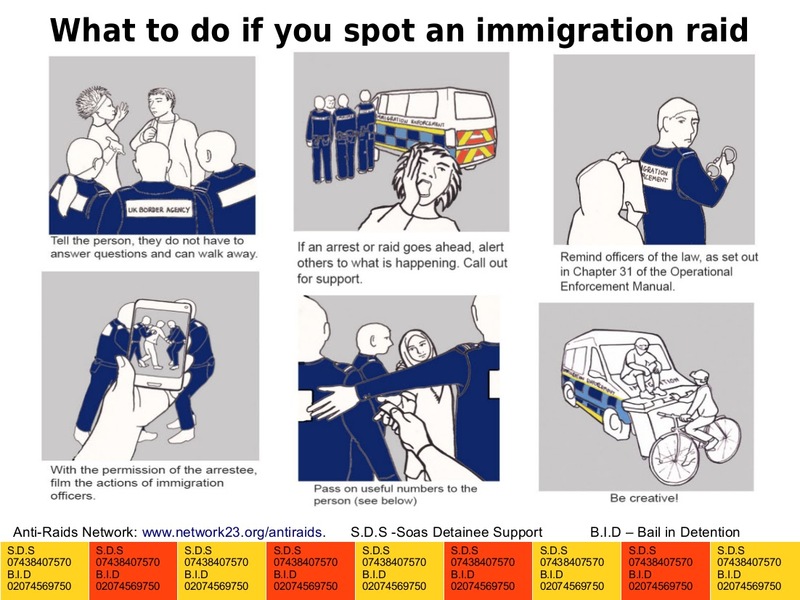 If you want to refer to their guidance when speaking to Immigration Officers, everything can be found in the Home Office Enforcement Visits guidance (formerly, chapter 31 UKBA Operational Enforcement Manual).